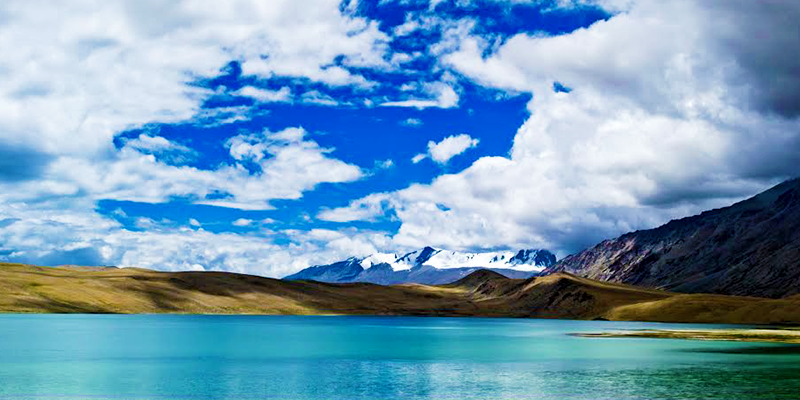 Ladakh, situated at an astounding altitude that ranges from 900ft to 25170ft, literally takes your breath away. Vast skies, mighty barren mountains, creamy cottony clouds, all perfectly blending in together giving an oh-so-gorgeous feel to this cold desert. Ladakh in the bygone days was an isolated little place, not any more. Today, it is on the bucket list of almost every Indian. Tourist footfalls to this cold desert have increased significantly over the last few years, but there are still many unexplored places near Leh which have gone unnoticed. If you want to beat the crowds in this serene place, have these lesser known gems in your Ladakh travel itinerary. When you think about lakes in Ladakh try thinking beyond Pangong Tso this time. This fresh water lake situated at an altitude of 15,000ft is far more enchanting and less crowded than the saline water lake, Pangong Tso. 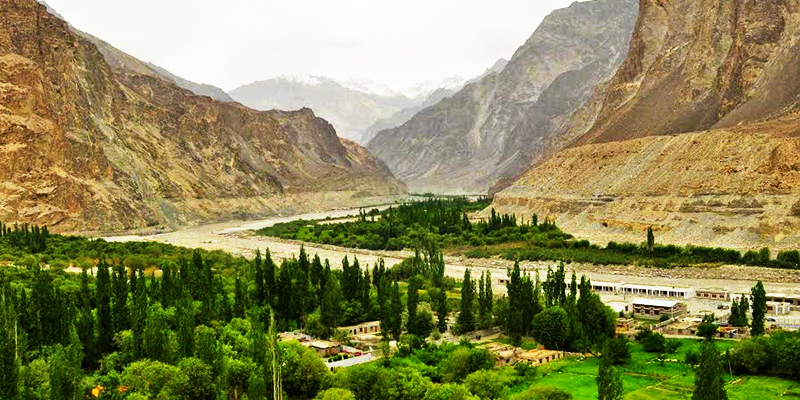 Areas near the lake have rich vegetation, which is a drastic change from the rocky terrains Ladakh is well known for. 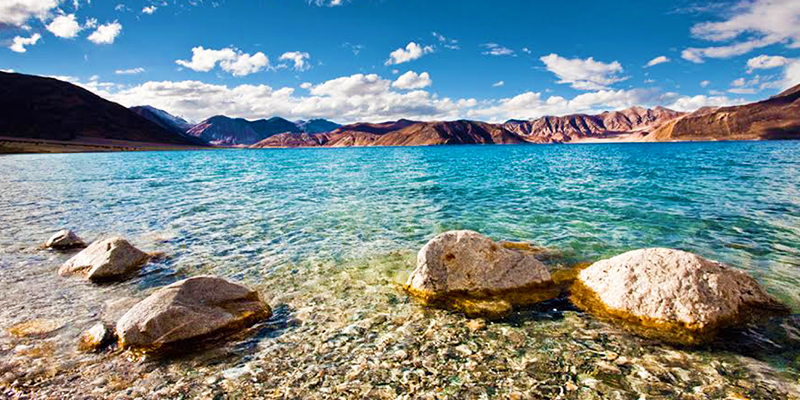 Tso Moriri Lake will not only appease you with its pristine clear waters, but also the lush green surroundings. On the way up to this lake, you will come across the rare natural marvels in hot water springs. Also known as the Valley of Flowers, this is regarded as the greenest region of Ladakh, albeit the precipitation level here is awfully low here. Crossing the mighty Khardung La (situated at a height of 18,380ft), which is the highest motor able road in the world, is a gripping experience in itself. Also, considering the fact that the pass is strategically important to India as it connects us to the Siachen Glacier, will give you a patriotic feel about it. 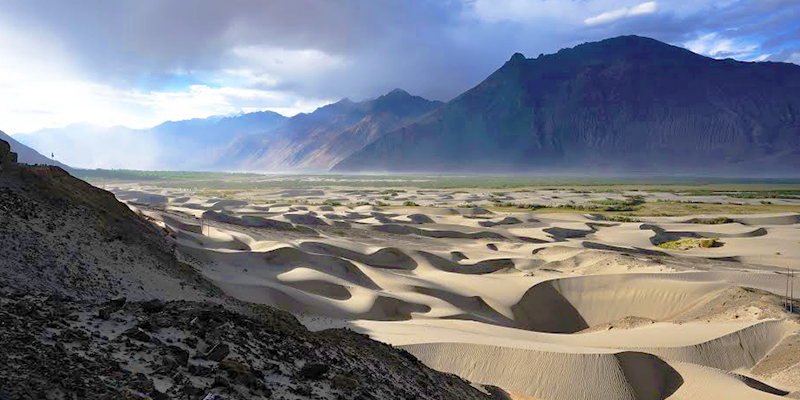 As you enter the Nubra the landscape changes drastically with flower valleys, flowing rivers and tall mountains. To complement the view there is the white desert on the other side. It is truly a sight to behold! Tourists were only allowed into this sleepy town of Nubra in 2010. So, it still remains one of the hidden gems of Ladakh. Situated close to the Line of Control, it is the last village before Pakistan. The backdrop of this village is marked by the river Shyok and snowcapped mountains on either side. To add to the sights, the Balti decent people who live in this village are the prettiest human beings with chiseled features. Being a low lying area, it is quite fertile and the plumpest apricots are grown in Turtuk. So, do not forget to taste some garden fresh apricots while you are there. 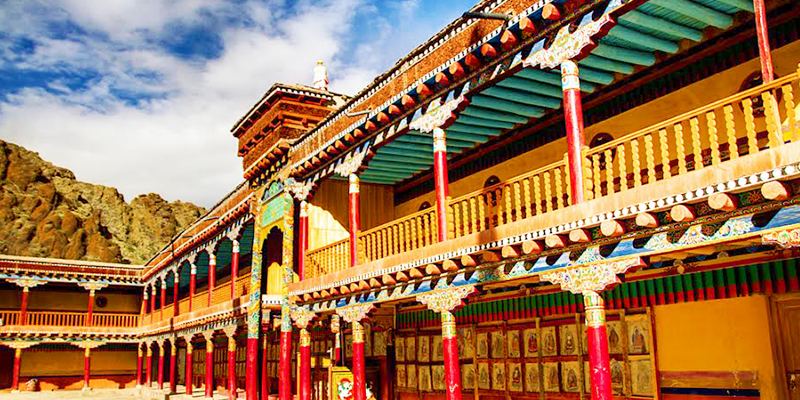 Standing tall in the heart of Leh city, this grand Palace was built by the king Sengee Namgyal in the 17th century. This nine storey high architectural wonder rests at a hilltop which gives a panoramic of Leh, Stok Kangri and the mighty Indus River. The palace is now maintained by the Archeological Survey of India (ASI) and also has a museum which houses the ancient royal jewelry, crowns and the costumes. Writing about Ladakh and not talking about its monasteries is like committing a sin. So, let’s just take a moment and appreciate how artistically different and beautiful these monasteries in Ladakh are as compared to the monasteries elsewhere. These religious structures not only provide great vantage points to overlook the rawness of Ladakh but are master pieces of great artworks in themselves. From the tranquility of Shanti Stupa to the absolutely opulent wood carvings of Likir monastery, from the ever so gracious gold plated Buddha statue of the Thiksey Monastery to the vastness of the Hemis Monastery every site has its own characteristic appeal. With bells tolling, mantras chanting and smoke from the incense getting stronger, these places will definitely loosen you up and make you feel closer to the almighty. 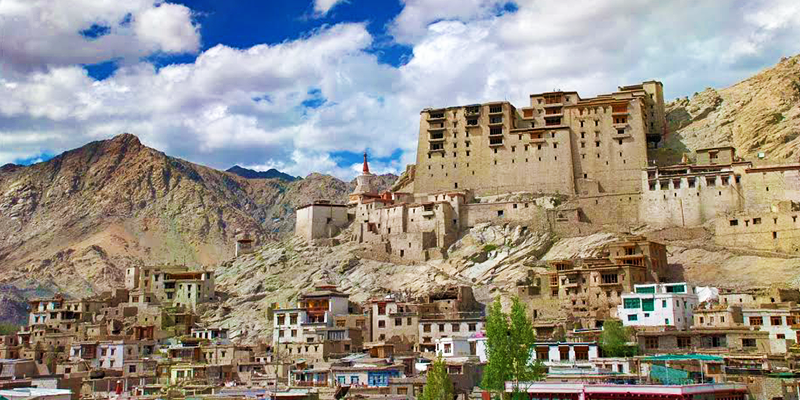 With its unique culture, supreme natural beauty and many wow inducing locations – Ladakh is a tour of a lifetime. Ready for an adventurous trip to Ladakh? We want to visit ladak, give me proper information..